Celebrating Singapore Shores! : Celebrating Singapore Shores goes on the road! Celebrating Singapore Shores goes on the road! 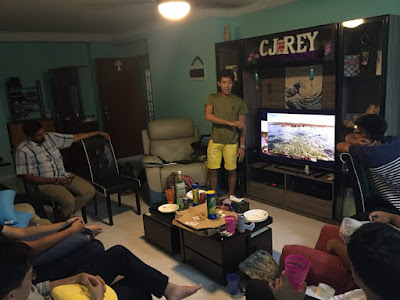 Karl Png shares his adventures sharing about Singapore shores, reaching out to almost 700 people through 5 events in April alone! Karl sharing with URA staff about our shores. This FREE talk "Secret Shores of Singapore", accompanied by FREE panels and brochures that are kindly sponsored by the National Research Foundation, is offered as part of Celebrating Singapore Shores and International Year of the Reef (IYOR) 2018. Karl is one of the many outstanding youths who have stepped up as an IYOR intern. The internship programme is still open, applications welcomed. 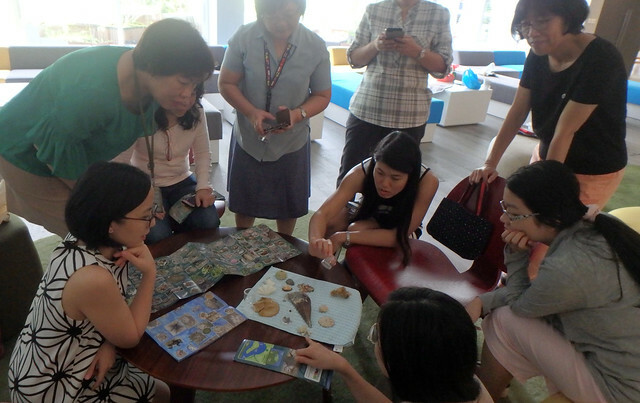 During my first Celebrating Singapore Shores roadshow talks, I realised sharing about marine life in Singapore has never been so fun. and shares about them during his talk. My first group came from my friends in Scouting. They were amazed by the marine creatures you can find in Singapore. Although they have been to the beaches, they never noticed the life buried underneath the sand. Thus, I told them it is about going with the right people at the right time in order to observe such creatures. Another startling fact was that such creatures are able to thrive near industrial areas. Despite the high-level of human activity in our waters, the activities did not stop marine life from growing. Karl presenting photos of Cyrene Reef to his Scout friends. My second talk was with Conservation International Singapore. 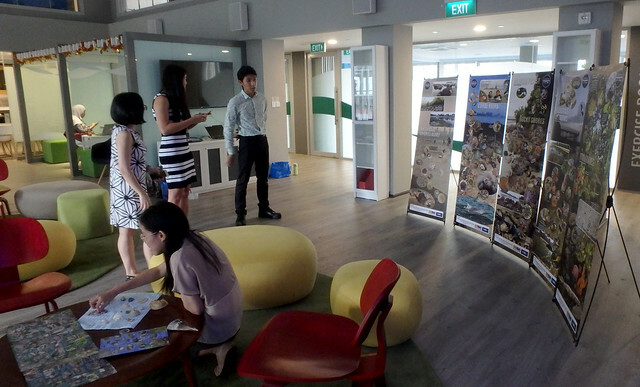 Some of their staff were from overseas and are not familiar with the marine wildlife in Singapore. When I did talk with Chew Peng, they were keen to find out where these places were so that they can sign up for guided walks! They truly enjoyed the presentation. 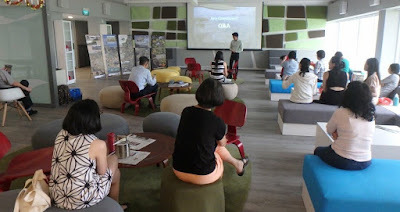 My third talk was done at the Urban Redevelopment Authority (URA). About 15 to 20 people kindly made time to attend the lunchtime talk. Thanks to staff for making time to come for my lunchtime talk. It was the first time that we used the information panels and Ria had brought in her specimen collection which wowed the audience. 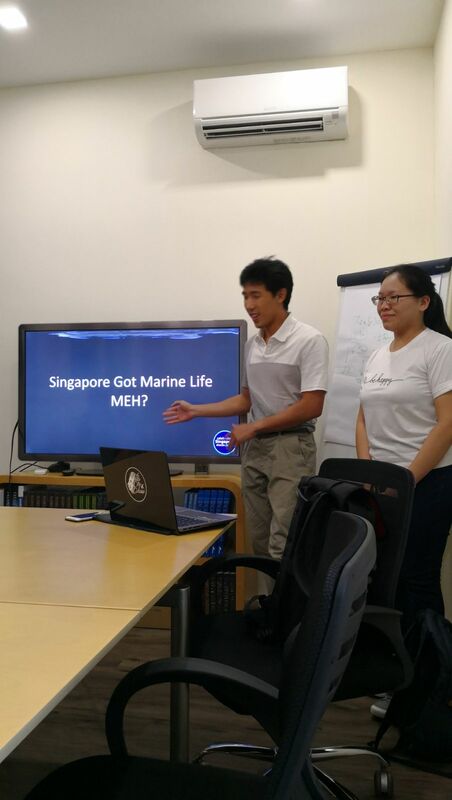 They were curious to find out how we can increase the number of marine life in Singapore. Hence, as long as we keep our waters clean and beaches untouched, marine life will be here to stay. Most importantly, the places like Sister's Islands should be preserved so that coral spawning will allow corals to distribute themselves across Singapore's beaches. Getting a closer look at specimens from Singapore's own shores. The last two talks were done at schools. 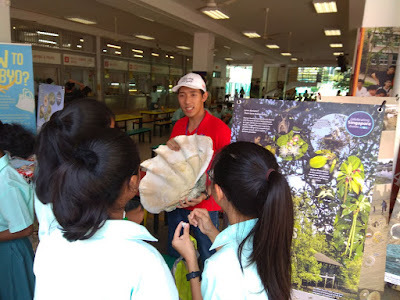 When I was at the Punggol Secondary School, I brought in a True Giant Clam specimen which drew in the crowd at my exhibition booth with Zero Waste Singapore. I came across a few students who are really interested in protecting our environment in Singapore. Hopefully, I have inspired them to continue their passion. This species of True Giant Clam is extinct in Singapore. This empty shell was found in Malaysia by Karl's grandfather in the 1970s. 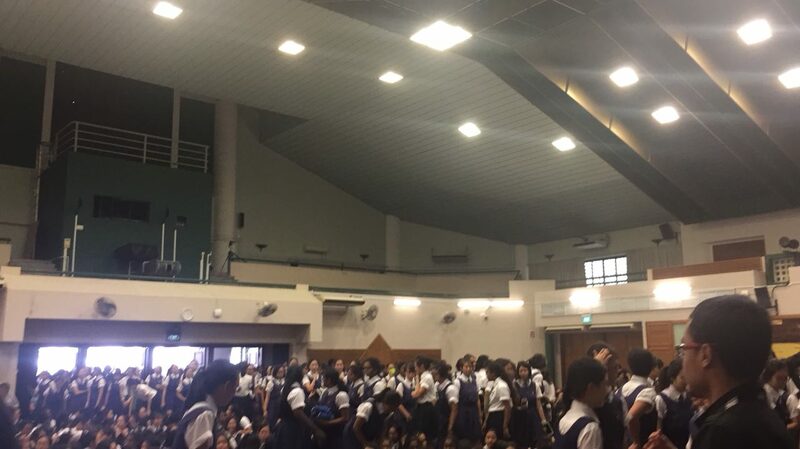 At Raffles Girls Secondary School, I spoke with speakers such as Mr N. Sivasothi and a few others from Lepak in SG and 'Every Singaporean A Naturalist'. 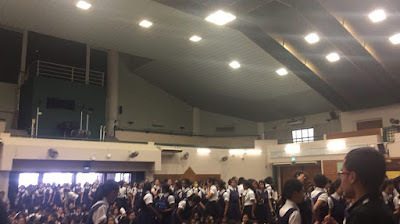 There were several hundred students who attended the talk. It was one of the most frightening talks I have ever given! However, the students had a good laugh. 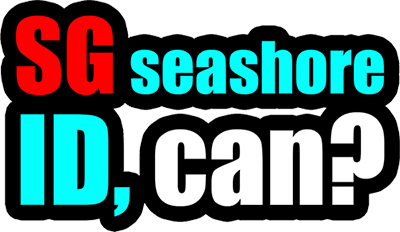 Special thanks to those who helped organise the opportunities for me to share about our seashores. I am grateful for your support despite your busy schedules. These talks will not have been possible without Ria, Chew Peng, Mei Lin and Abigail! On behalf of Celebrating Singapore Shores, we would also like to thank the National Research Foundation for kindly sponsoring the information panels and brochures given out during these events.